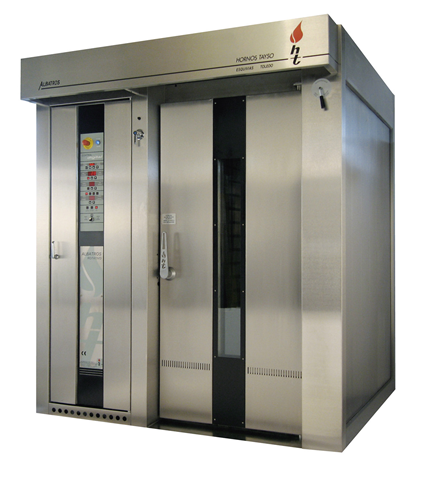 It has low CO2 emissions and generates low levels of ashes due to the elevated biomass combustion percentage. There is a large variety of biomass types such as pellets, grinded olives bones, almond shells and some others wastes from agriculture that can be found locally. 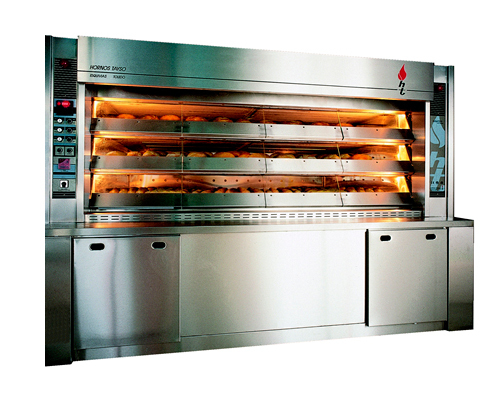 This allows saving on transportation and energy consumption. Besides the environmentally friendly advantage, the economic ones are remarkable. The cost of the biomass is lower and more stable since it does not depend on the global political and economic specific situation with gas or fuel. As the biomass is granulated, it can be dosed as a liquid allowing the automatic dosing according to temperature demands. Stocking these materials has not risk of explosion. It is not volatile, is free of smell, does not leak or or spill. It is cleaner than other materials such as wood, as it generates less waste material which may obstruct the chimneys. The storing space is minimal. 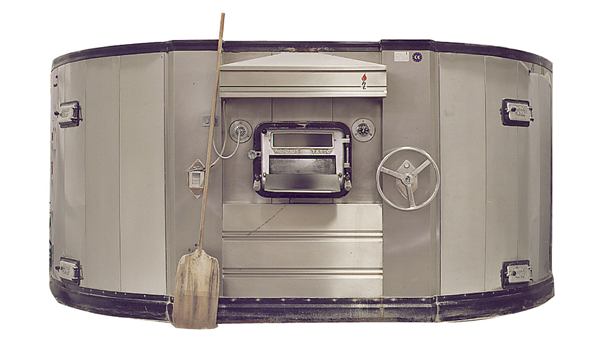 The biomass dosing system is controlled by the thermostat located at the control panel of the oven. 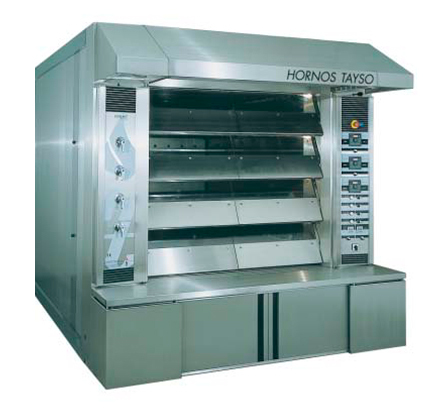 The biomass system could be use in most of our ovens: Rotating Ovens, Rack Ovens and Deck steam tube ovens.